Spring is a time for renewal and nurturing. As the long winter ends, we can think about renewal in our financial lives as well. With a bit of nurturing, our financial well-being can grow and blossom. Creating a budget is the first step towards organizing finances. Get started by identifying common budget categories and track planned expenses vs. actual spending. Use our Monthly Budget Worksheet to find extra dollars to put towards paying down debt, a college savings account or an emergency fund. From credit cards to utilities and loans, you should have all of your account information available in one place. Our Account Tracking Worksheet provides that place for keeping track of account numbers, websites, and more. Late or missed payments can negatively effect your credit score. Use our Bill Pay Checklist if you need assistance in tracking your monthly payments. By getting these details in order, if you choose, you can take the next step to enroll in our Online Bill Payment to automate paying your bills. Money Desktop is the next step to be able to see all of your accounts from various institutions in one place. Additional budgeting tools and debt repayment tools are also available from within Money Desktop. Having a debt pay down plan is an essential step to becoming financially successful. Some leading experts recommend paying off debts with the smallest balances first, rather than focusing on interest rates. Once a debt is paid off, that monthly payment should be added to the next debt on this list. This method gives you more immediate gratification in seeing your bills paid off. Use our Debt Repayment Worksheet and take control of your financial future. 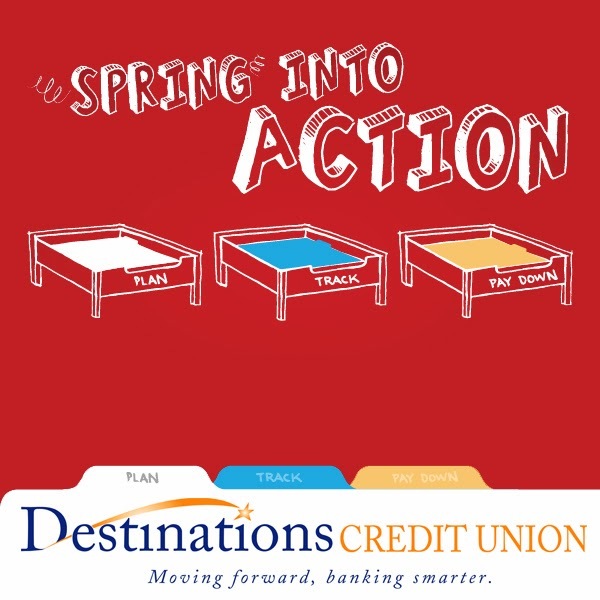 So, “Spring” into action and get started on a solid path to financial security! 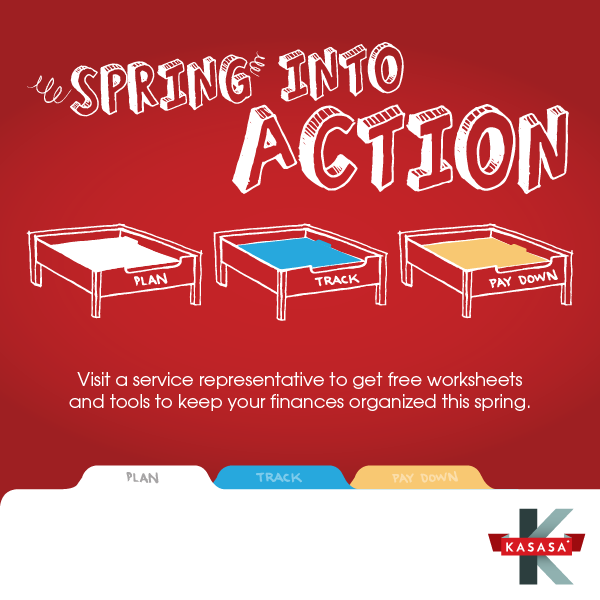 PS: One more tip: Get a Kasasa Rewards Checking Account….you’ll get extra money for free if you qualify each month. Either a REALLY high interest rate or 4% cash back on up to $250 in debit card purchases. Click to find out more!